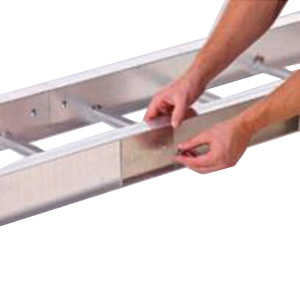 B-Line Cable tray straight section features durable aluminum construction. It measures 144-Inch x 24-Inch x 4-Inch and has 9-Inch rung spacing. This section is perfect for use with KwikSplice™ NEMA Type-12A cable trays.